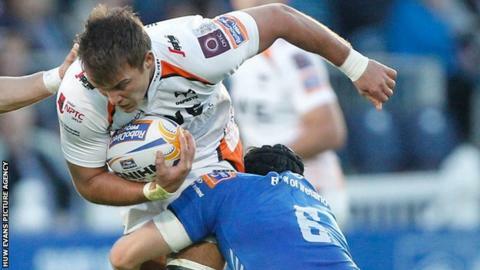 Ospreys back-row Tom Smith has been forced to retire at the age of 29 because of a knee injury. Smith suffered the injury against Edinburgh in September 2013 and had six operations in the following 12 months. He will now concentrate on his role as an Ospreys coach, which he had been combining with his playing duties. "It's been a tough three years for me physically. I've given it everything I can but it's the only decision available to me now," said Smith. "I've worked hard over the last two years or so trying to get my fitness back to where it needs to be as a pro rugby player, and it's been a long road." Smith made his Ospreys debut against Connacht in February 2007 and made 94 appearances, scoring three tries. The former Wales youth international took over as Ospreys' elite youth performance manager in December 2014.